Holidays can be such a busy and crazy time of year. Add in kids and it becomes an insane time of year. 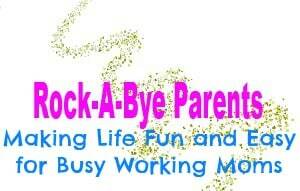 Now add in needing to make something to take for family dinner and you’re probably ready to pull your hair out. 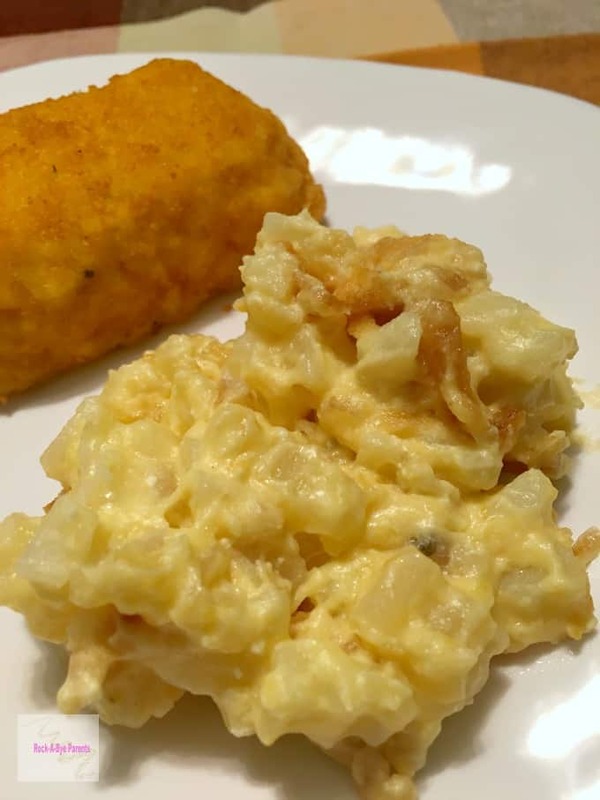 With this recipe for Slow Cooker Cheesy Potatoes though you can easily throw a yummy, hot, side dish together in almost no time! Just about every person in our extended family is a big fan of Cheesy Potatoes. 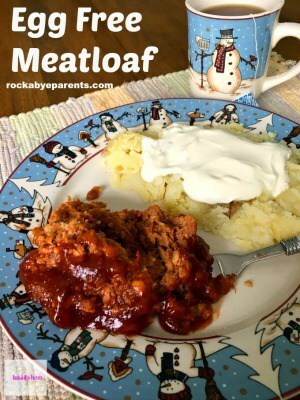 It’s such an easy side to make, and it goes with just about any type of meat being served. In the past we had the problem that any time someone brought it for holiday meals the potatoes would be cold when it was time to eat. Of course we would heat them up, but that’s difficult when so much is being prepared. Plus it’s not quite the same as eating them right from the oven. At some point someone had the bright idea to make them in a Crock-Pot instead of baking them in the oven. That way they were easy to keep nice and warm the entire time. Plus for those with large Crock-Pots it was also easy to make a double batch of Cheesy Potatoes as the family increased in size. 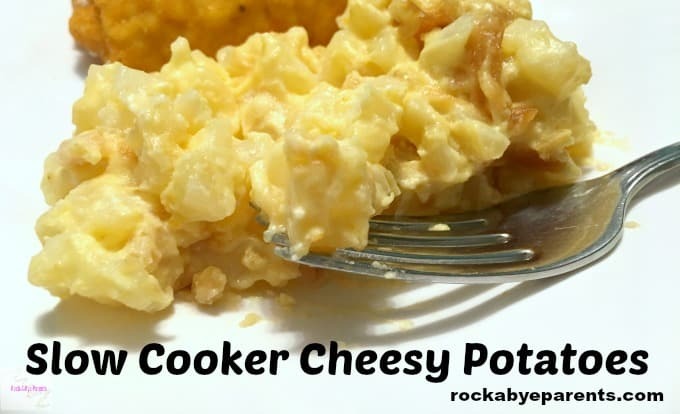 Slow Cooker Cheesy Potatoes is such an easy recipe to make. 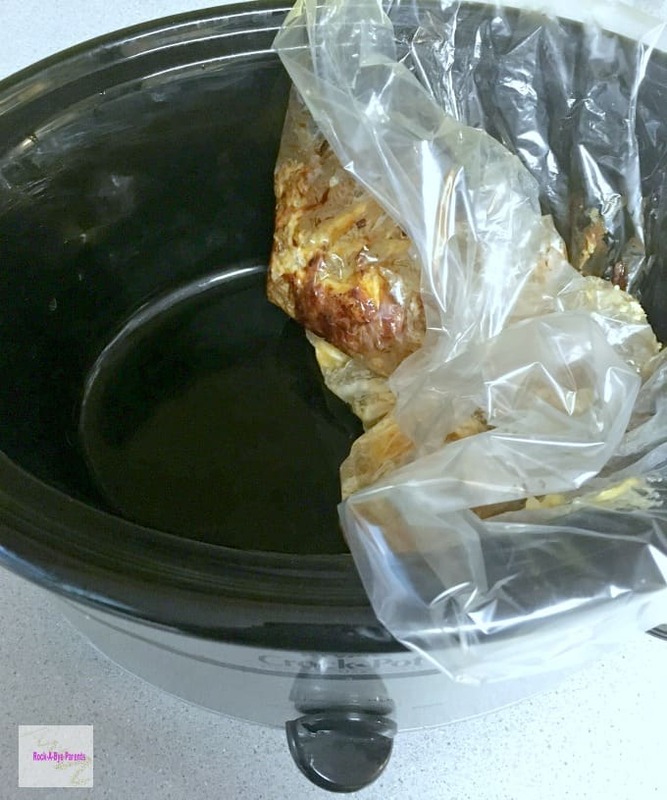 It takes only a few minutes to prep, and then the Crock-Pot does the rest! Plus if you need to take it somewhere for dinner all you have to do is unplug the Crock-Pot, take it with you, and plug it back in when you get to your destination. It doesn’t get much easier than that. 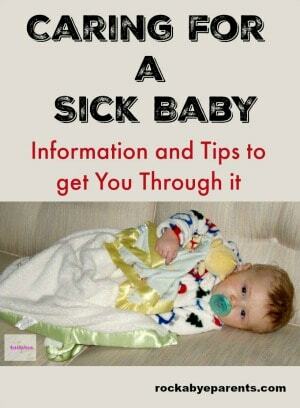 I remember how it was years before I was a mom. I would spend hours the day before, or the morning of, holidays prepping food to take for family meals. I can’t imagine trying to do that with Nick underfoot! Now I volunteer the easy things like Slow Cooker Cheesy Potatoes! OK, so you obviously need a slow cooker to make this recipe. I personally love this Crock-Pot with the locking lid. It’s perfect for when you’re traveling with food in it! 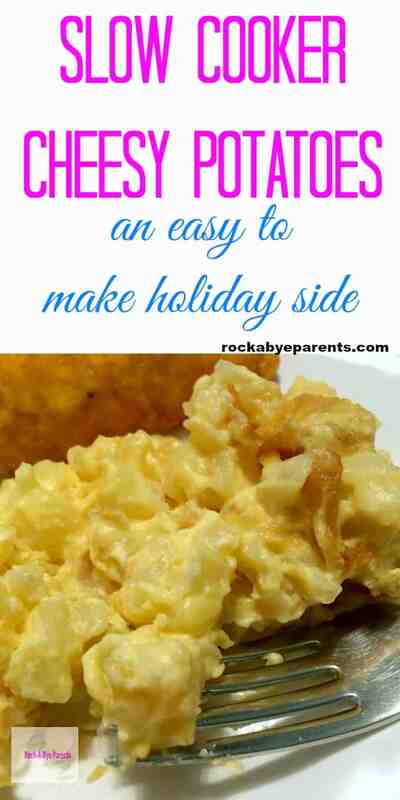 This recipe is so easy that there are only a few steps for me to even write up! Seriously, this is the type of holiday recipe that every busy mom dreams of. 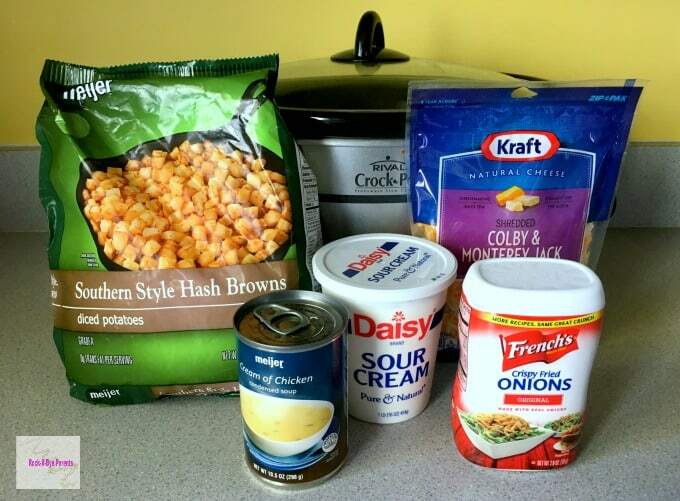 The first thing you need to do is mix the hash browns, soup, sour cream, and cheese together in the Crock-Pot. Next turn your Crock-Pot on to high and let it cook for 2.5 hours. During this time go and enjoy your holiday because you’ve got lots of time before you even need to think about the potatoes again. After the 2.5 hours have passed add the fried onions to the potatoes and stir them in. Then turn the Crock-Pot down to low and let everything cook for another 30 minutes. That’s it! Now if you have a large group you can easily double the recipe. You won’t quite double the cooking time though. For a double batch cook on high for 4 hours, and like the regular recipe mix in the crispy onions and cook on low for 30 minutes. Slow cookers are a great kitchen tool to make easy meals, but cleaning them is the biggest pain. 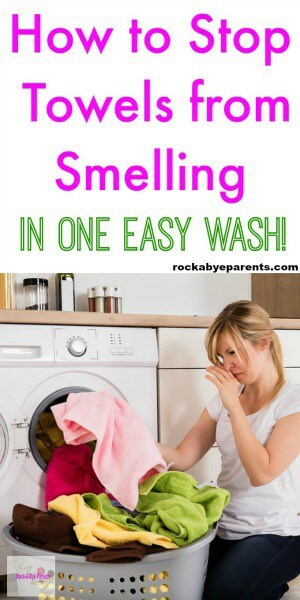 I can’t stand washing anything by hand (this partly comes after living for years in a home with no dishwasher), and I will do everything I can to avoid that task. Cleaning food that has gotten baked onto the side of my Crock-Pot is way up there on my list of don’t want to clean. In fact I went years without ever using my Crock-Pot because of this very reason. 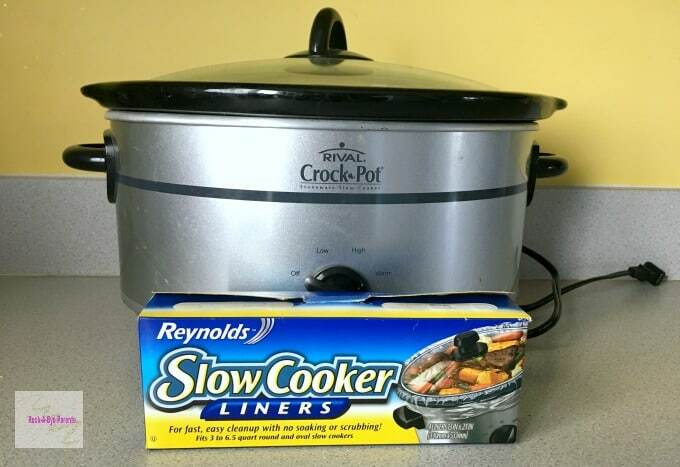 Then I tried the Renyolds Slow Cooker Liners. Oh my goodness, these things are amazing! They work so well. I put it in before I add anything to my Crok-Pot. Then when it’s time to cleanup I pull the liner out, throw it away, wipe down the Crock-Pot lid, and I’m done! I personally have never had any food leak through the liner. I will never use my Crock-Pot without them now. 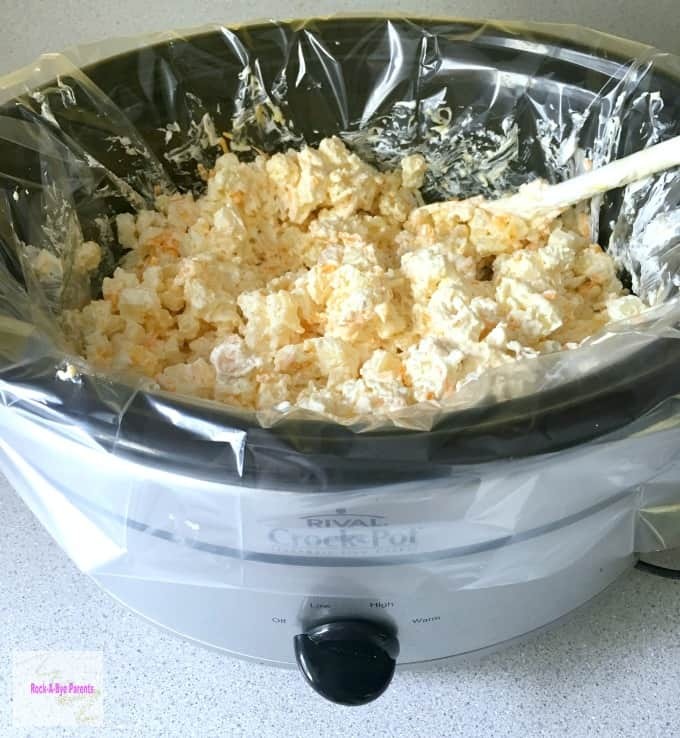 Sure I could save money by just washing the Crock-Pot, but I’d rather spend a little extra money and save a lot of time by not needing to clean it. Some things are truly worth paying for, and these are way up there on my list! Mix all of the ingredients except for the fried onions together in the Crock-Pot. Cook for 2.5 hours on high. Mix in the crispy onions and cook on low for another 30 minutes.